Podcasts are hot. From the long-form historical narratives to the two-minute daily spots, people love podcasts on the road, at the gym, or even while they’re cleaning up around the house. Why aren’t you capitalizing on this hot form of online media? Odds are you’ve found the technical curve somewhat daunting. And it’s true– professional podcasting used to be a bit of a production. From hardware to editing software, podcasting was hardly the thing a real estate agent would squeeze into their busy schedule. Response so far has been overwhelming. 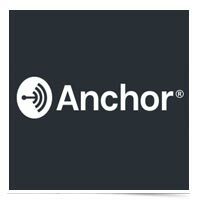 Even experienced podcasters have jumped ship to use Anchor.fm’s app. How might you express your creativity and generate new leads with podcasting? What about a neighborhood update? A three-minute “this week in real estate trends” report? There are certainly ways you can personalize and deliver real value, differentiating yourself in the market.